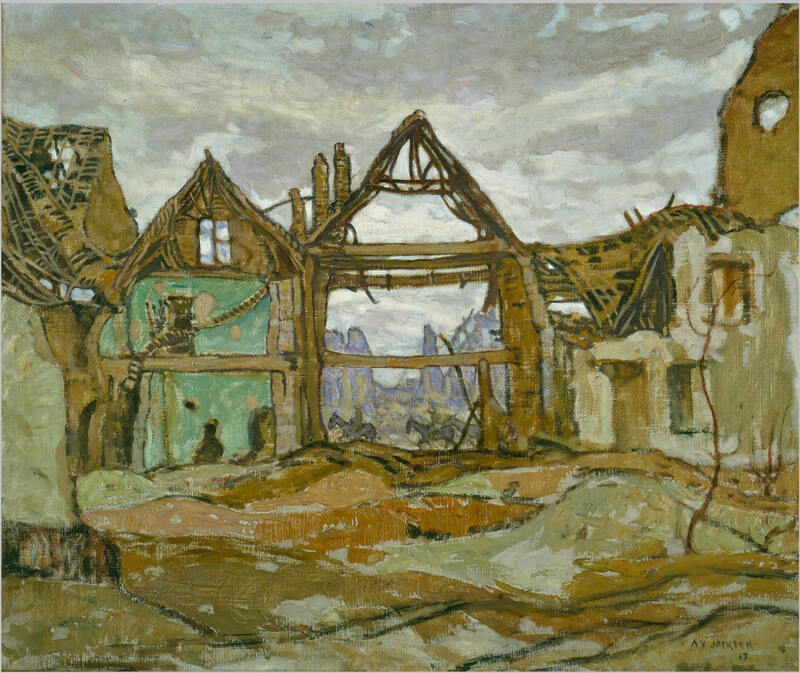 A bombed out house in Ypres dominates this A.Y. Jackson painting, while riders on horses move across the background. The only member of the Group of Seven to experience combat, Jackson enlisted in 1914 and was wounded at the Battle of Mount Sorrel in June 1916. He was an official artist for the Canadian War Records Office from 1917 to 1919.